2 At least two undated subrectangular enclosures show on aerial photographs. 4 Two pit clusters (MWA 5410), a pit alignment, three ditched enclosures and evidence of ridge and furrow ploughing (MWA 12103) were mapped as part of the English Heritage National Mapping Project. Findspot - a Bronze Age flint barbed and tanged arrowhead was found 600m north west of Limestone Hall. Part excavation at this site uncovered evidence of occupation, possibly a Medieval shrunken village. The site is at Baginton, 50m east of the church. Linear features are visible as cropmarks on aerial photographs. They are of unknown date. They are situated 1km south west of Moreton Morrell. Two Roman ditches and a pit, containing two bone fragments and a piece of 2nd/4th century pottery, were found during archaeological work. Previous work on the site had recorded 1st-4th century settlement activity, with ditches, interpreted as property boundaries, layers, pits and a possible gravel pit. Earthwork remains of a Medieval shrunken village at Priors Hardwick. Priors Hardwick is first recorded as one of 24 vills given to Earl Leofric to found the monastery at Coventry, the grant was confirmed by Edward the Confessor in 1024. A Prehistoric pit alignment, pits set at intervals along a single, or parallel, line. 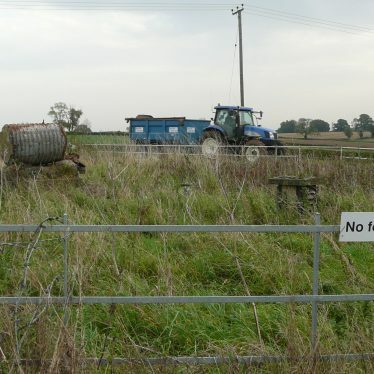 It has alternatively been interpreted as a grubbed out hedgerow. The feature is visible as a cropmark on aerial photographs. It is situated 500m north east of Welford Hill. 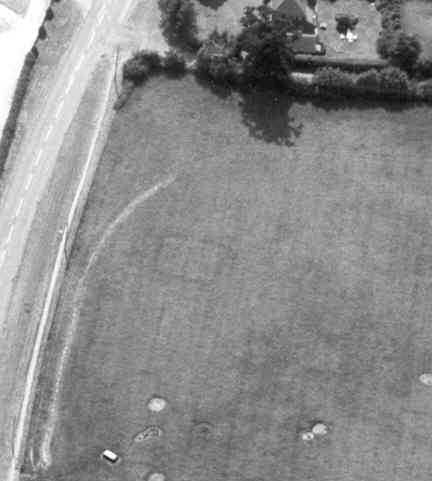 A pit alignment of Prehistoric date is visible as a cropmark on aerial photographs. It is situated 500m south east of Woodford Lodge. Two parallel pit alignments that in places become continuous ditches, a third ditch set 40m to the east of the pit alignments and a diffusely defined circular feature, which may be a degraded ring ditch, appear on aerial photographs. Area has been used for mineral extraction and has been landscaped.